With over four hundred miles of shoreline, lakes, fishponds, sandy stretches, and sheltered inlets, Rhode Island may be the smallest state in the United States, but it is not lacking in space to do aquatic activities. 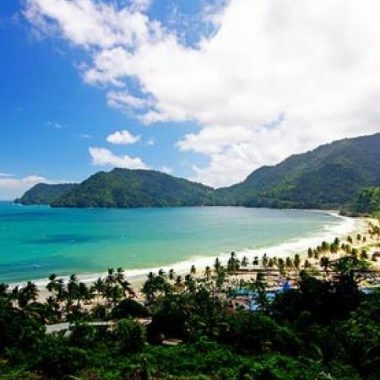 This East coast niche is referred to as the Ocean State and features many public beaches ranging from family-friendly ones to those that are a surfers dream. The beaches have, for centuries, instilled feelings of inspiration and awe among beachgoers. The state is home to slightly over one million people that love to enjoy the natural beauty of its coastline. If you’re looking to have some fun under the sun, check out the 10 best beaches in Rhode Island! Also known as ‘Second Beach,’ Sachuest Beach is a mile long with mild waters, white sand, a rugged landscape, and sunsets that are truly captivating. This harbor is known for its atmosphere of tranquility and is a perfect locale to bring the family. If you want to commune with some animals and watch them go about their day, you might want to check out the popular Sachuest Point National Wildlife Refuge that is walking distance from this beach. Sachuest Beach is a short ten-minute drive from Newport, where you can find many waterfront dining options. There are grills available for use, picnic tables to dine at with shady spots if it’s a hot day. For a refreshing drink, try some freshly squeezed lemonade from Del’s Lemonade truck. This beach is great fun for seashell collecting and sandcastle building. And, surfers also greatly enjoy riding the waves here. There are lifeguards on duty until six in the evening, if that gives you any peace of mind. This hoppin’ beach is near the Cliffwalk attraction, a three and a half mile trail that’s filled with local wildflowers, native birds, and greenery. The walk begins at the Western end of Easton’s and runs South, ending at Bellevue Avenue. There are porta-potties for public use, but no real restrooms. Located at the mouth of Newport Harbor with a view of the harbor and Narragansett Passage, and constructed in the early 1800’s, historic Fort Adams State Park is where you can get a taste of antiquity as well as beach time. Designed to be the most heavily armed fort in the U.S., and the second largest fort in the country, this park is enjoyable for those of all ages. Prepare for an hour-long tour if you’d like to explore the facility in depth, and for lots of walking and stone stairs to climb. At the oceanfront park, you might choose to do some fishing, or bathe in the salt water. If you would like some movement after all of that travel time sitting in the plane or car, you may opt for a game of soccer or rugby. Picnicking, sprawling your towel out on the sand, or sailing are also pleasant activities to pass the day. If you’re interested in sailing, but need a little bit of extra support due to a disability, Shake a Leg is a nonprofit organization, offering sailing instruction and boat rentals for the physically handicapped. If you enjoy live music, there are Summer music events with jazz and folk music -a pretty regular phenomenon here. When you get hungry from dancing your heart out, there are food trucks stationed here with yummy options. Admission to the beach is free (and so is parking! ), but you do have to pay for a tour of the fort if you want to see it. Camping is permitted on this shore, and there are also restrooms with showers available to wash all of that sand off of you. Lastly, there is a lifeguard on duty from nine in the morning until six in the evening. If you like camping, this one’s for you. Situated in Charlestown, East Beach boasts over three miles of shoreline and twenty campground sites to pitch your tent. Camping season ranges from Memorial Day weekend to Labor Day weekend, and campers are permitted to stay for a period of four back-to-back days. During this interval, dogs are not allowed on the shore. This Rhode Island beach is not a particularly developed one, but that’s where the beauty lies. The lack of infrastructure contributes to a peaceful atmosphere, with plenty of coastline space to be enjoyed. Located alongside saltwater ponds and the famous Ninigret Pond, East Beach is home to the state’s largest saltwater ponds, home to shellfish and other oceanic lifeforms. They like it because of the lush and reedy fringe that creates a safehaven for them. As far as activities are concerned, you might wander on some hiking trails, go jogging barefoot in the sand, or venture to one of many spots to birdwatch the hundreds of bird species. There is also ample sunbathing room if you want to kick back and finish reading that novel you’ve been working on. If you decide to go camping, a ‘Barrier Beach Pass’ is required, so make sure to get one beforehand. There is limited parking, so you might want to arrive early to secure a good spot. The parking fee is six dollars per vehicle for residents and twelve dollars for non-residents. When nature calls, take a walk over to one of the composting toilets that have been constructed for your use. If you are looking for homestyle New England cookery, Wilcox Tavern is a surefire way to ‘hit the spot’, or if you’re craving pizza, try Post Road Pizzeria. If you’re traveling from Providence, Rhode Island, take I-95 South to Route four South to arrive here. No matter the season, South Shore Beach is a great place to spend some moments of your life. 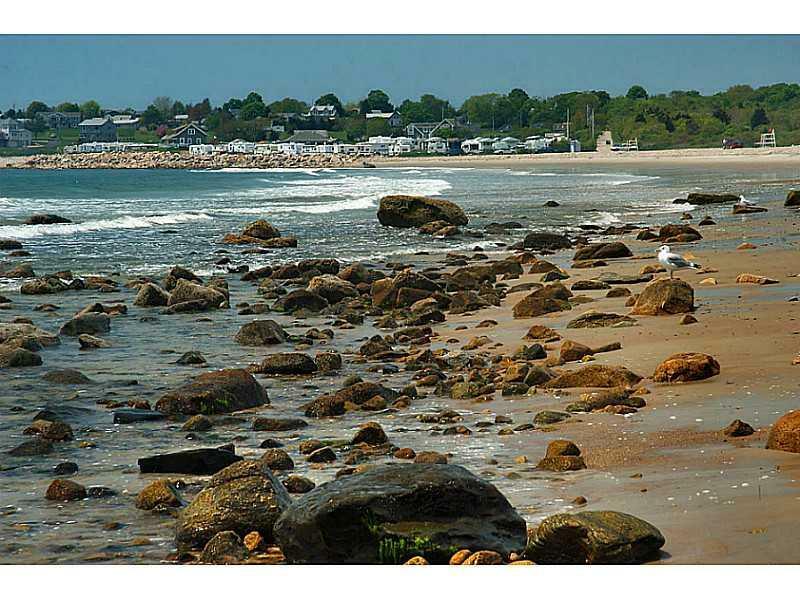 Nestled on the border of Rhode Island and Massachusetts, rocky South Shore Beach is well frequented with over one thousand three hundred feet of shoreline. On the other end of the beach, you’ll find the (sole) way to access the meniscus of beach named Goosewing Beach Preserve, which isn’t reachable by vehicle. It’s protected by the Nature Conservancy, and you won’t typically find many humans in this cavern, if seclusion is your idea of vacation. Many students from the local colleges come to South Shore Beach during Autumn, where you’re likely to see smoke from series of campfires. You’ll see tattooed hipsters touting the latest fashions, and experience an ambiance of lightheartedness and carefreeness. Surfers love riding the wave breaks at this beach, and swimmers love to wade in the waters. If you have little ones that you might need to have an extra set of eyes on, lifeguards are on duty to help patrol. The parking fee here will cost you fifteen dollars. 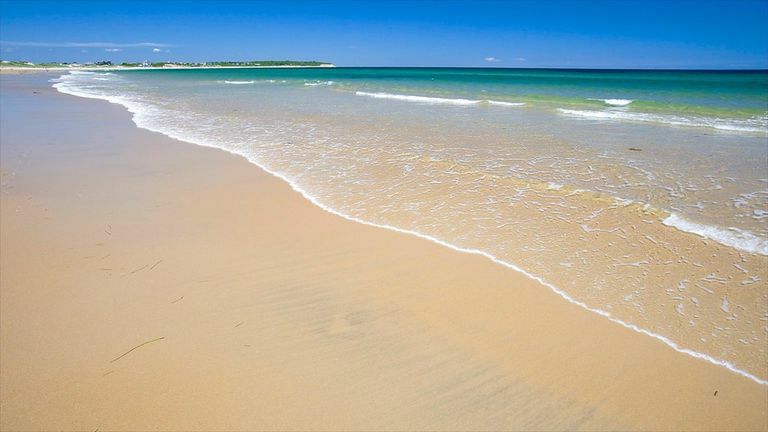 Boasting three miles of shoreline, found on the Eastern part of Block Island, Crescent Beach is one of the most photographed beach in Rhode Island. This white sand beach has activities available for those of all ages, ranging from kayaking to parasailing, to tennis or charter boat fishing. If you want to hit the town, you’ll find many boutiques for shopping, art galleries, and nightclubs. In the center of Crescent Beach, you’ll see the Frederick J. Benson pavilion that has a concession stand as well as gear available for rentals, such as umbrellas, chairs, and boogie boards. There are also showers and bathrooms available for public use, and lifeguards on duty. If you have pets, pack them in your suitcase, as they are permitted on this beach. Well, maybe not in your suitcase- but you get the drift! You might choose to rent a bicycle, a moped, a car of sorts, or do a helicopter tour of the city and coastline. You may choose to stay in a cottage, a hotel, or an inn for your time here. Whatever floats your boat! This New England nineteen acre beach and saltwater refuge, Narragansett Beach boasts beachfront curling waves that are great for surfing. 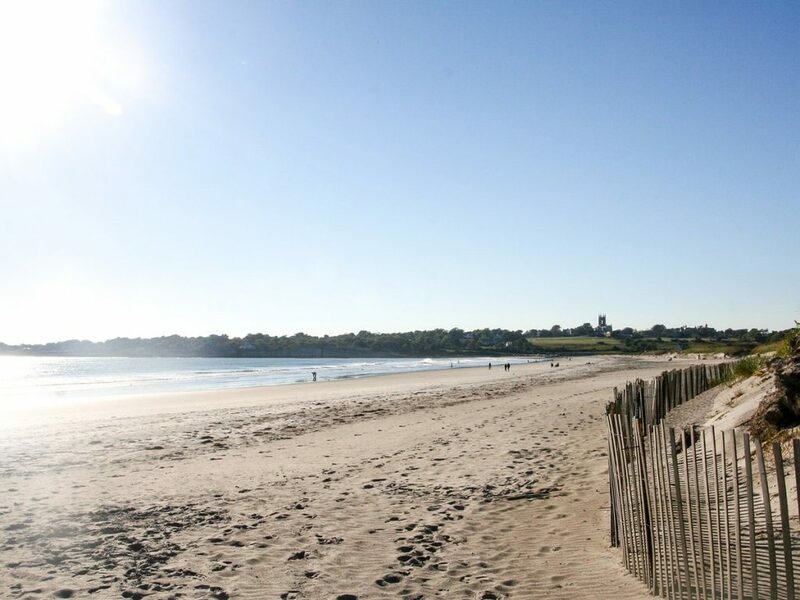 A town of sixteen thousand people, Narragansett features some of the cleanest and most accessible conditions, with nearly ten thousand visitors and tourists alike enjoying the smooth sands. You’ll find heaps of parking availability, public restrooms (and wheelchair accessible ones, at that! ), and picnic tables for when you get hungry. Fresh seafood options abound such as lobster rolls and fried clams, and if you’d like some dessert, you might want to savor some family-run rich ice cream from the local stands. You might choose to spend the day just lounging on your beach towel listening to the lulling waves or incorporate some movement into your life by renting a surfboard and riding the waves. For accommodation, there are large beachy hotels, Victorian-style inns, as well as Victorian-era architectural towers. A remnant of the Narragansett Pier Casino, the towers are a marvel to see- for some evening entertainment, you might choose to attend one of the Cajun music jams that are often held at these towers. For a memorable dining experience, you might try dining at Crazy Burger, which is a vegan-friendly restaurant that offers seating both inside and outside. If you’re big on breakfast, it’s served until four in the afternoon- with options like cinnamon roll french toast and omelets with over twenty add-ins. There are also burger options like mushroom, fish, bean, and chicken. A unique feature of this food joint is that you can even bring your own alcoholic beverage if you’d like, but fresh fruit juices, lemonades, and shakes are also available. If you’re looking to save money, the Anchor Motel is a non-smoking option, right across the street from the beach, for those of you that don’t want to walk far. Free coffee and donuts are also offered here if that entices you. A few minutes walking distance from the beach, South Country Museum is a historical landmark where you can catch a glimpse of what farm life was like back in the day. Check out the exhibits and even help out in the garden if you want! Do note that if you want to park your vehicle here, expect a ten dollar fee. 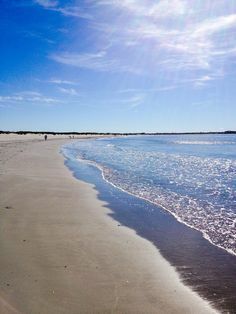 Referred to as First’s Beach by the locals, Easton’s Beach is situated on Memorial Boulevard and is on the border with Middletown, Rhode Island. 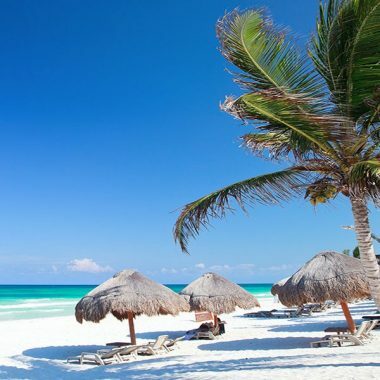 This white sand beach is great for those of all ages, but is an especially wonderful choice for families with children, as the options for activities are infinite. The curly waves are ideal for both surfing and boogie boarding, for those of you that like to indulge in these sorts of activities. Cabanas, boogie boards, and beach chairs are available for rental at the Beach Store– they even carry buckets and pails, if you want to build a sandcastle and need a vessel of sorts. This is also the largest public ocean surf beach with a boardwalk. Save the Bay Exploration Center and Aquarium is a neat day-outing that you will surely enjoy. It’s home to over forty species from Narragansett Bay, including lobsters, crabs, seahorses, urchins, and dogfish sharks. The blue shark and the mako shark which migrate through Rhode Island’s coastal waters on an annual basis can be found in the aquarium’s shark tanks. Now, this isn’t your typical tank, its a touch tank, where you are able to touch and interact with the creatures that live inside. You can even book an aquarium tour if you want to handle and even hold live animals. If you do decide to visit the aquarium, you can either receive a full or partial refund from the City of Newport as they will validate your parking ticket. There are picnic tables, indoor and outdoor showers, a grill area, bike racks, a first aid area, a snack bar (with excellent Twin Lobster rolls), and even beach wheelchairs for those with disabilities. During Summertime, there are many fun options for entertainment, such as riding the 1950’s carousel (an original four-row model that was brought here in 1958 from New York), attending a carnival or a concert, watching the volleyball tournament, or going to the skate park. If you are engaged and looking to tie the knot, you might choose to get married on the beach and celebrate in the ballroom after. There is also a reception hall available for use in the Easton’s Beach Rotunda. From Memorial Day until September 30, there are no animals permitted on the beach. So, you might want to have your friend dogsit for you or leave it at the hotel. It costs ten dollars to park your vehicle for the day, or you can opt for metered street parking. Third Beach, sometimes referred to as Middletown Town Beach, is a town-owned bathing beach that features a half mile of shoreline. This is a great beach in which to launch boats from trailers and has areas for swimming and boating, as well as fishing. Many that visit this beach like to kayak, and you might also think about bringing a raft to spend the day floating on the water if you’re so inclined! 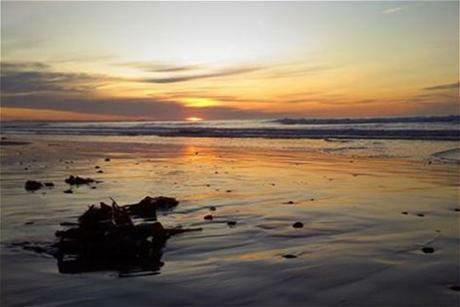 This beach is a short five-minute drive to downtown Newport, where good-quality restaurants and shops await you. If you do catch yourself in the downtown area, Thames Street is the center of it and is where you’ll find great quality restaurants, bars, and hotels. The waters are sheltered by Flint Point, but once you move away from them, you’ll be in the open waters. Adjacent to the beach, you will find Sachuest Point National Wildlife Refuge where you can birdwatch and admire the picturesque view of the ocean. There are no fees required to access the beach out of bathing season or in the evenings, but otherwise, you’ll be charged. Note that the Southwest winds come through in the mornings and produce strong waves. Otherwise, the weather conditions and waves are generally calm. From this beach, you can access both the Sakonnet River and Rhode Island Sound. 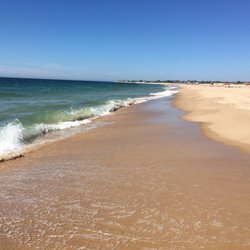 A no-cost private beach, Ballard’s Beach on Block Island, is where you can find a summer beach party happening day in and day out. Features of this beach include live music every day, beach volleyball during the Summer, tiki bars that serve drinks and food, full beach services, and oceanfront dining. You might choose to rent a lounge chair and umbrella and kick your feet up on the beach, while enjoying a glass of wine in front of the sunset. You can always just go for a swim in the Atlantic, too, if you need a jolt of energy to wake you up when that afternoon lull strikes, or choose to have a picnic in the sunshine. If you’re looking for more serenity, you might try accessing the trail on the right side of the beach, as this is the path that’s less trodden. Not as many people venture to this area of the beach, partly because there is no access to the beach facilities and amenities. You can always walk over to the main beach to use them, it’d just be a bit of a trek. If the solitude and being away from the crowds is important to you, it might not be a big deal to walk over- it depends on your priorities! Feel free to bring your pup to this beach, as it’s pet-friendly. Oh, and admission and parking is free for this beach. 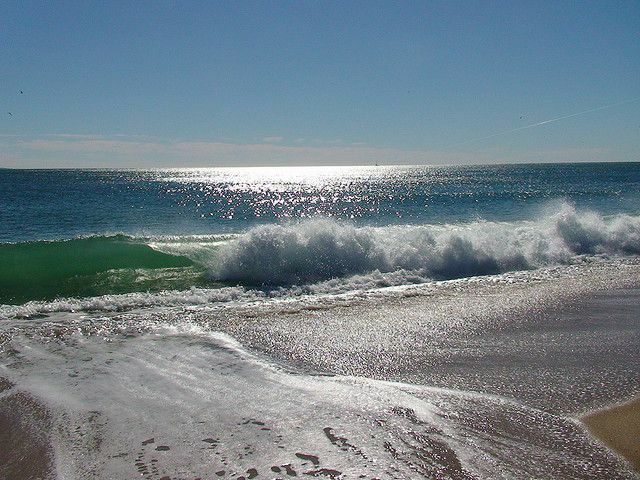 One of the best beaches in Rhode Island, East Matunuck Beach is over one hundred acres of sandy saltwater beach. It has all the beach facilities you could dream of, with twenty-five picnic tables, indoor and outdoor showers to wash the sand off of you, toilets, changing rooms, and lifeguards on duty. A tidbit of beach history that happened in the 1950’s is that intense storms rolled through here and wiped out a fair amount of infrastructure, but this does not affect the enjoyment to be had here. There are not typically too many people that visit this beach, but it can get crowded during the Summer, so you might want to arrive early if you’d like a decent parking spot. A feature of this beach is its cleanliness- you are even given a bag upon arrival for any trash you might accumulate. Sea crabs, mussels, and starfish are able to be spotted near the rock reef. East Matanuck beach has nice sand to walk in, and oftentimes the perfect amount of wind will roll through to fly a kite. Other activities that might be enjoyed are surfing, windsurfing, or swimming. There is a snack bar on site, featuring items like New England Clam Chowder, and fish tacos. A common sight to see is patches of red seaweed, or algal bloom- this is common, so don’t be alarmed. Fair warning that a little bit might get on you, it’s not harmful, just a little unsightly for some. A season pass for this beach is an awesome alternative if you plan on coming more than once. Are there campgrounds near the beaches? You can visit the Rhode Island State Park’s website to pinpoint a camp. Most beaches require a nightly fee, and the price is typically increased for those of you that are not state residents. Visit the Reserve America website to book a camp spot. If the time you would like to reserve your spot for is not available, the website will advise of when the next opening is. Are there any Rhode Island hotels on the beach? Yes, there are plenty of beachfront guesthouses and Rhode Island style resorts on the beach. Like anywhere with a decent coastline, there is no shortage of accommodation options! Naturally, and Rhode Island hotels near beaches will be considerably more expensive than those without a sea view. Misquamicut state beach, located near the Watch Hill beach and merry-go-round, has plenty of affordable beach front hotels, and is definitely worth checking out. If you consider spacious swaths of soft sand, waves that are perfect for both surfing and swimming, salt ponds galore, and breathtaking views, then it’s safe to say that the beaches are ‘nice.’ There is not much infrastructure near the beaches, which make it a pleasant, natural ambiance. Are Rhode Island beaches free to access? The only fees you have to pay are those of having to park your vehicle. Price is per day and per vehicle, and the fee depends on which beach you’re planning to visit. It’s slightly pricier on weekends versus weekdays, and also a little steeper if you’re a non-resident. Am I able to smoke on the beaches? As of 2013, the Department of Environmental Management and the Department of Health instituted a smoke-free initiative at all of the state’s beaches. So, unfortunately, smoking is not permitted on any state beach. Are the beaches open today? Beaches typically open at either eight in the morning or thirty minutes past that (that’s when the lifeguards start their shift.) You are able to park your car earlier, though, if you want to ensure you get a great spot. Most beaches close for the day around four in the afternoon. You’ll find the beaches open to the public year-round. Are there beaches with boardwalks? 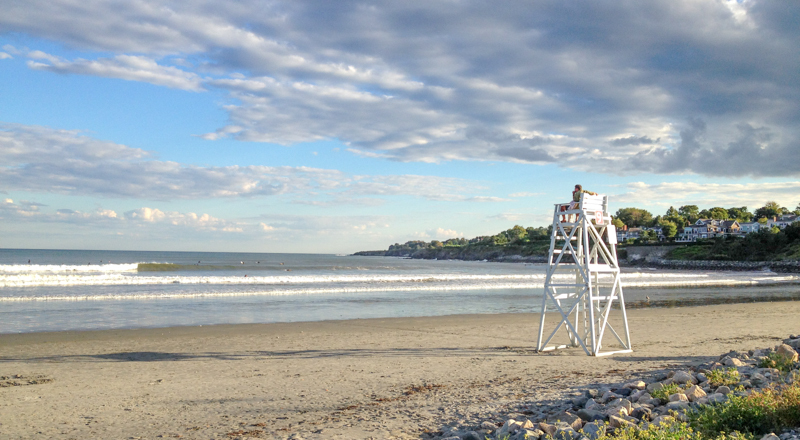 Narragansett Beach features a boardwalk, where you can grub on some clam cakes or ice cream at Brickleys. It does cost an additional eight dollars per person for access to the boardwalk. Atlantic Beach Park in Westerly is also home to a boardwalk, and Easton’s Beach too! Other than that, boardwalks are not too common to come by in the state. Are there any dog friendly Rhode Island beaches? Generally, most of the Rhode Island state beaches are dog friendly – but they do have strict rules about when you can walk them. For example, East Beach does not allow dogs between Memorial Day weekend to Labor Day weekend, but allows them any other time in they year. Don’t be surprised if the top Rhode Island public beaches have strict dog rules. Check online for specific details. Is Rhode Island also referred to as the Ocean State? Yes, Rhode Island is also known as the Ocean State. This nickname was primarily established to promote tourism and you’ll see it on many non-commercial state automobile license plates. All of the state citizens reside within a half hour’s drive of either the Atlantic Ocean or Narragansett Bay. So, wherever you live in the state the water will be a hop, skip, and a jump away. What is the Island’s climate like? Rhode Island is located North enough to where weather conditions range from mild to cold throughout the year, though humidity levels can be high at times. If you’re heading to the beach, Summer is naturally the most preferable time to visit for most. From the months of June to August, the weather will typically average out to a comfortable temperature that ranges from seventy to eight degrees Fahrenheit. If you decide to come to the state in July, the average temperature is eighty degrees Fahrenheit. If you’d prefer to not deal with crowds during your vacation, consider traveling here either in May or September. If you’re arriving during Wintertime, be aware that it does snow. Between December and February, the normal temperature is about forty degrees. It does rain a bit in Springtime, but it’s nothing that will put a damper on your trip. How can I travel around? The Rhode Island Public Transportation Authority (RIPTA) extends bus service and trolleys at an affordable rate all throughout the state. The buses run at all times of the year, for whenever you decide to journey to this Northeastern state. A bus pass for the day will cost you six dollars, or you can opt to pay two bucks per ride. If you would like the specific route information, go to RIPTA.gov. Will I need an electrical converter to use my electronics? The state’s electricity functions on a Type A two-pronged plug, or a Type B three-pronged plug. If you are traveling from out of the country, you’ll likely need a converter. What activities are there to do on Rhode Island? Over nine hundred festivals, fairs, and events are offered each year in the Ocean State. During the Summertime, over a million tourists flock each year to attend the WaterFire Festival in Providence. You might snack on some kettlecorn, sip on some lemonade, and maybe choose to end the night by taking a boat out onto the water to see the impressive light show. If you travel to Newport, you might be interested in viewing the seventeenth-century houses or touring the former mansions of the Vanderbilts’ (which is a sight to see during the holidays). There is also a Food and Wine Festival in Newport worth checking out. Are there any colloquialisms I should be aware of? The word ‘wicked’ is often used as a term to describe something as ‘cool.’ You may also hear the word ‘wiener’ if someone is referring to a hot dog. I write and shine my light to remind others of the abundant beauty all around.